The U.S. Department of Energy (DOE) will fund $18 million to support small business innovation research, development and deployment of clean and renewable energy technologies, including projects to advance wave and current energy technologies, ocean thermal energy conversion systems, and concentrating solar power (CSP) for distributed applications. The funding will come from the American Recovery & Reinvestment Act and, in this first phase of funding, 125 grants of $150,000 each will be awarded to 107 small advanced technology firms across the United States for clean and renewable energy. The companies were selected from a pool of 950 applicants through a special fast-track process with an emphasis on near-term commercialization and job creation. Companies which demonstrate successful results with their new clean and renewable technologies and show potential to meet market needs, will be eligible for $60m in a second round of grants in the summer of 2010. 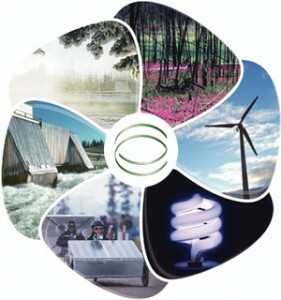 Grants were awarded in 10 clean and renewable energy topic areas, including $2.8m for 12 projects in Advanced Solar Technologies where projects will focus on achieving significant cost and performance improvements over current technologies, solar-powered systems that produce fuels, and concentrated solar power systems for distributed applications. Another $1.7m will go to 12 clean and renewable energy projects in Advanced Water Power Technology Development where projects will focus on new approaches to wave and current energy technologies and ocean thermal energy conversion systems. Sensors, Controls, and Wireless Networks (building applications to minimise power use and power line sensor systems for the smart grid). A first attempt fell victim to the crisis: now in the docks of Scotland’s ancient capital, a second-generation scarlet Sea Snake is being prepared to harness the waves of Britain’s northern islands to generate electricity. Dwarfed by 180 metres of tubing, scores of engineers clamber over the device, which is designed to dip and ride the swelling sea with each move being converted into power to be channelled through subsea cables. Due to be installed next spring at the European Marine Energy Centre (EMEC) in Orkney, northern Scotland, the wave power generator was ordered by German power company E.ON, reflecting serious interest in an emerging technology which is much more expensive than offshore wind. Interest from the utility companies is driven by regulatory requirements to cut carbon emissions from electricity generation, and it helps in a capital-intensive sector. Venture capitalists interested in clean tech projects typically have shorter horizons for required returns than the 10-20 years such projects can take, so the utilities’ deeper pockets and solid capital base are useful. 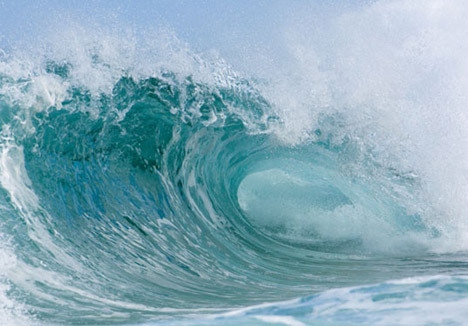 The World Energy Council has estimated the market potential for wave energy at more than 2,000 terawatt hours a year — or about 10% of world electricity consumption — representing capital expenditure of more than 500 billion pounds ($790 billion). Britain’s Crown Estate, which owns the seabed within 12 nautical miles of the coast, is also holding a competition for a commercial marine energy project in Pentland Firth in northern Scotland. Besides wave power, Britain is testing systems to extract the energy from tides: private company Marine Current Turbines Ltd (MCT) last year opened the world’s first large-scale tidal turbine SeaGen in Northern Ireland. The Edinburgh Snake follows a pioneering commercial wave power project the company set up in Portugal last September, out of action since the collapse of Australian-based infrastructure group Babcock & Brown which held a majority share. “It’s easy to develop your prototypes and models in the lab, but as soon as you put them in water, it swallows capital,” said John Liljelund, CEO of Finnish wave energy firm AW-Energy, which just received $4.4 million from the European Union to develop its WaveRoller concept in Portugal. At present, industry executives say marine power costs about double that from offshore wind farms, which require investment of around 2-3 million euros per megawatt. Solar panels cost about 3-4 million per megawatt, and solar thermal mirror power about 5 million. 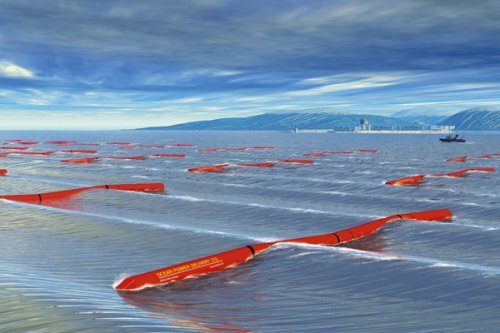 Other utility companies involved in wave power trials include Spain’s Iberdrola, which has a small experimental wave farm using floating buoys called “Power Take- offs” off the coast of northern Spain. It is examining sites for a subsea tidal turbine project made by Norwegian company Hammerfest Strom. Countries developing the technology besides Britain include Portugal, Ireland, Spain, South Korea and the United States: about 100 companies are vying for a share of the market, but only a handful have tested their work in the ocean. Privately owned Pelamis has focussed on wave energy since 1998, has its own full-scale factory in Leith dock and sees more orders for the second generation in prospect. 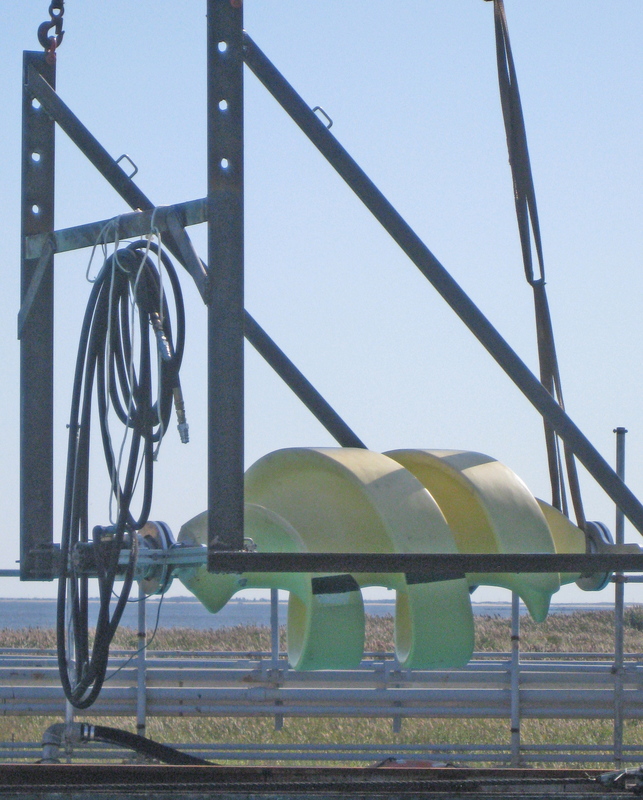 A single Sea Snake has capacity of 750 kilowatts: by around 2015, Pelamis hopes each unit will have capacity of 20 megawatts, or enough to power about 30,000 homes. Neither Pelamis nor E.ON would elaborate on the cost of the Sea Snake, but they said the goal is to bring it down to the level of offshore wind farms. Maine and the Federal Energy Regulatory Commission will cooperate on the application, review and permitting process for tidal energy projects after signing a memorandum of understanding Wednesday. The MOU calls for the entities to notify each other when a tidal developer applies for a preliminary permit, pilot project license or license. They will coordinate their permitting schedules and take into account each entity’s specific needs and master plans. FERC has signed similar agreements with Washington and Oregon, but it is the first agreement with a state on the East Coast. The agreement came after a meeting between Maine Gov. John Baldacci and FERC Chairman Jon Wellinghoff in Washington, D.C., today. Some 17 tidal projects had applied for FERC permits as of January 1, 1009, according to the Maine Department of Environmental Protection. A collaboration between the University of Maine, Maine Maritime Academy and Portland-based Ocean Renewable Power Co., announced in April, has landed nearly $1 million in grant money from the federal government to research and develop tidal power in Maine. The world’s largest wave farm is to be built off the coast of south-west England under plans announced today. Pledging an investment of £9.5 million ($15.6 million), Business Secretary Lord Mandelson dubbed the region the first “Low Carbon Economic Area”. 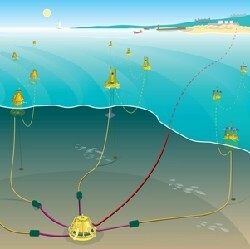 The Wave Hub project – a giant, grid-connected socket on the seabed off the coast of Cornwall for wave energy devices to be tested on a huge scale – will be commissioned next summer. Renewable energy company Ocean Power Technologies will take the first “berth” at Wave Hub, and has placed its first equipment order – for 16.5 miles of subsea cable – this week. The project is being led by the South West Regional Development Agency (RDA), and also includes plans to evaluate schemes for generating tidal power from the river Severn estuary. “Bristol already boats world-leading expertise, especially around tidal stream technology,” said Stephen Peacock, Enterprise and Innovation Executive Director at the South West RDA. This is a rather more controversial project, however, as locals and environmentalist groups fear its effect on wildlife habitats. The South West RDA is pledging to look at three embryonic Severn proposals that have “potentially less impact on the estuary environment than conventional technologies”. What with government, RDA, European and private sector funding, total investment in the South West’s marine energy programme in the next two years is expected to top £100 million. The U.S. Treasury and the Department of Energy are now offering $3 billion in government funds to organizations developing renewable energy projects including hydropower and ocean energy projects. The funds, from the economic stimulus package passed by Congress in February, support the White House goal of doubling U.S. renewable energy production over the next three years. The money provides direct payments to companies, rather than investment or production tax credits, to support about 5,000 renewable energy production facilities that qualify for production tax credits under recent energy legislation. Treasury and DOE issued funding guidelines for individual projects qualifying for an average of $600,000 each. Previously energy companies could file for a tax credit to cover a portion of the costs of a renewable energy project. In 2006, about $550 million in tax credits were provided to 450 businesses. Under the new program, companies forgo tax credits in favor of an immediate reimbursement of a portion of the property expense, making funds available almost immediately. “These payments will help spur major private sector investments in clean energy and create new jobs for America’s workers,” Energy Secretary Steven Chu said. “This partnership between Treasury and Energy will enable both large companies and small businesses to invest in our long-term energy needs, protect our environment and revitalize our nation’s economy,” Treasury Secretary Tim Geithner said. Eligible projects have the same requirements as those qualifying for investment and production tax credits under the Internal Revenue Code. As with production tax credits, eligible renewables include incremental hydropower from additions to existing hydro plants, hydropower development at existing non-powered dams, ocean and tidal energy technologies. Projects either must be placed in service between Jan. 1, 2009, and Dec. 31, 2010, regardless of when construction begins, or they must be placed in service after 2010 and before the credit termination date if construction begins between Jan. 1, 2009, and Dec. 31, 2010. Credit termination dates vary by technology, ranging from Jan. 1, 2013, to Jan. 1, 2017. The termination date for hydropower and marine and hydrokinetic projects is Jan. 1, 2014. The U.S. Departments of the Treasury and Energy are launching an Internet site in the coming weeks, but are not taking applications at this time. However, to expedite the process, they made a guidance document, terms and conditions, and a sample application form immediately available on the Internet at here.